The world at the time of Webster's birth. 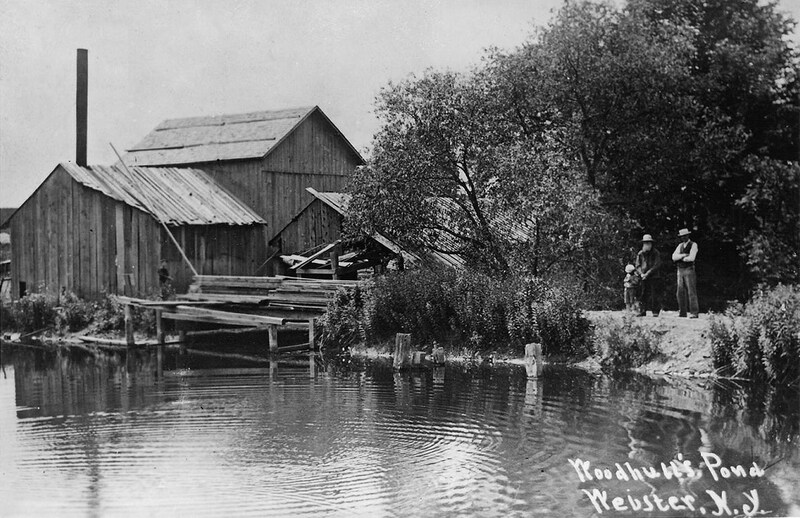 The years leading up to the establishment of the town of Webster were full of revision and change. In just a 44 year period, the land we now know as Webster went through a number of configurations, splits and reconfigurations. 1796 saw the creation of the town of Northfield which was so large it empassing what we know today as the towns of Brighton, Henrietta, Irondequoit, Penfield, Perinton, Pittsford, and Webster. Northfield unfortunately was a popular name and was being used by several other towns in the state so it was changed to Boyle in 1806. Penfield broke away from Boyle 4 years later in 1810 and a mere 30 years later, Penfield was divided horizontally with the top half becoming Webster. 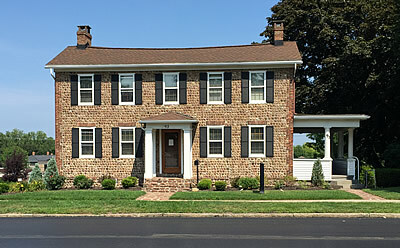 The Dean house of 93 West Main Street in the village was constructed around 1840. Not out of wood, or brick, but cobblestones. Cobblestone architecture is a style largely unique to the Rochester area, possibly because of the number of masons in the area following construction of the Erie Canal. Historians have estimated that over 75 percent of American cobblestone buildings can be found within 75 miles of Rochester, New York, with most being constructed between 1835 and 1860. Approximately 700 of the estimated 900 cobblestone buildings constructed in New York state prior to the American Civil War still exist today. 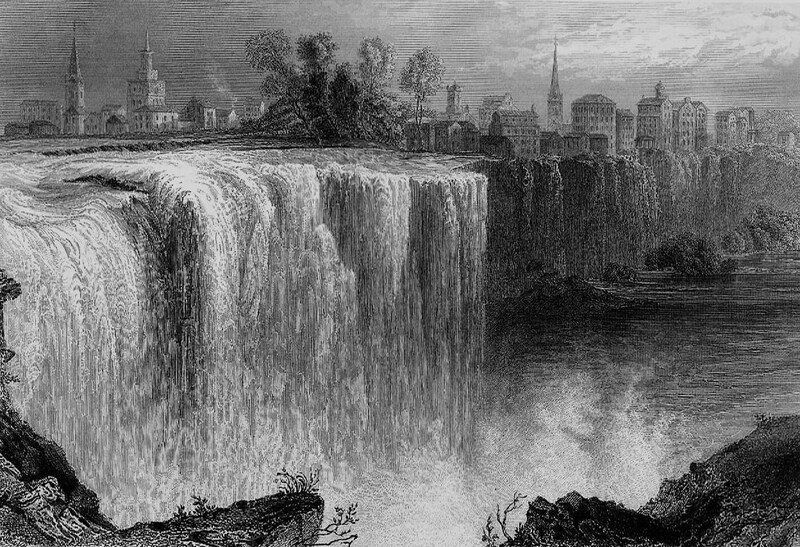 Believe it or not, in 1840 with its 20,901 residents, Rochester, New York had a larger population than Buffalo, St. Louis or Chicago. 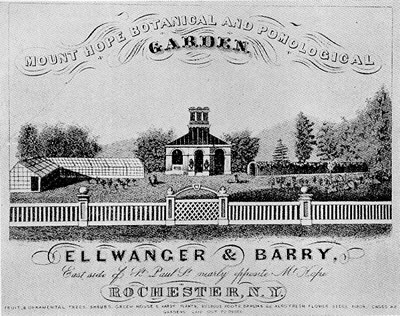 1840 was a pivotal year in the transition of Rochester's moniker from "the Flour City" to "the Flower City" thanks in part to the founding of the Ellwanger & Barry Nursery Company. George Ellwanger and Patrick Barry were both recent immigrants to the United States arriving from Germany and Ireland respectively. Starting with 7 acres of land along Mt. Hope Avenue, the pair began propagating seeds and seedlings which they sold locally and nationwide through agents and catalogues. 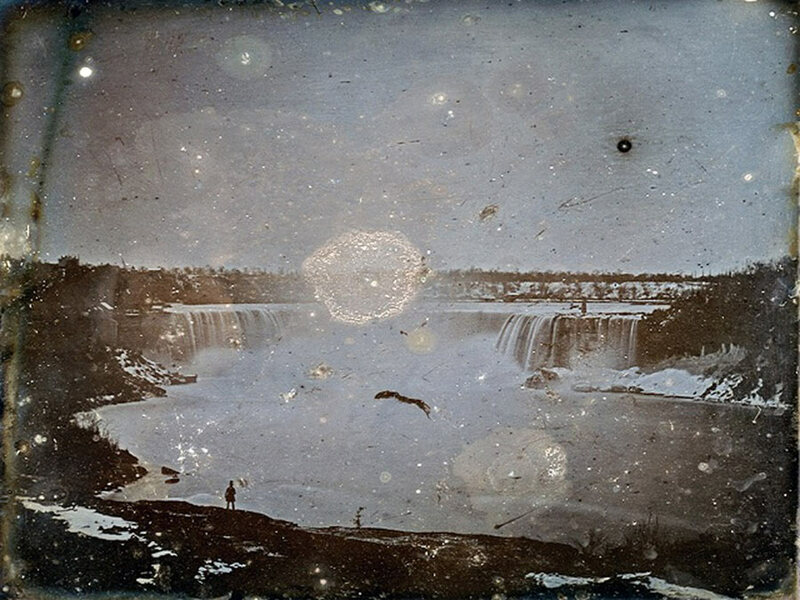 The first known photograph (daguerreotype) of Niagara Falls, taken in 1840 by Hugh Lee Pattinson on a visit from England. In 1840, Auguste Rodin, Claude Monet, Thomas Hardy and Emile Zola were all born. Charles Ingalls was 4 and the future Caroline Ingalls was one. Louisa May Alcott was 8 and Mark Twain was 5. Susan B. Anthony was 20 years old in 1840. It would be another 5 years before she moved to Rochester and 32 years until her arrest for voting in the 1872 election. It was in 1873 that Anthony visited Webster, NY and 28 other area towns to deliver her speech, "Is it a Crime for a U.S. Citizen to Vote?". Frederick Douglass made his escape to freedom in 1838. It was 7 years later at the age of 27 that Douglass arrived in Rochester, NY and began publishing The North Star, advocating for freedom for all slaves and for the rights of women. George Eastman wouldn't be born for another 14 years and his family wouldn't move to Rochester until 1860. Andrew Jackson Warner was 7 in 1840. At the age of 14 he moved to Rochester to begin an apprenticeship but before long was made a partner in his Uncle's architecture firm. Over the 60 years that followed, Andrew Jackson Warner and his son would transform the skyline of Rochester and provide it with some of its most memorable and long standing architecture, including the Powers Building and Rochester City Hall. February 10 – Queen Victoria of the United Kingdom marries Prince Albert of Saxe-Coburg and Gotha. 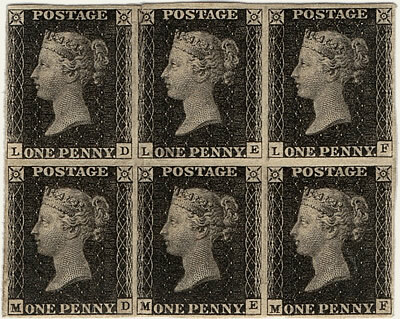 May 1 – Britain issues the Penny Black, the world's first adhesive postage stamp. June 7 – On the death of Frederick William III, Frederick William IV becomes King of Prussia. July 23 - The Province of Canada is created by the Act of Union. November 4 – William Henry Harrison defeats Martin Van Buren becoming the United States nineth President. 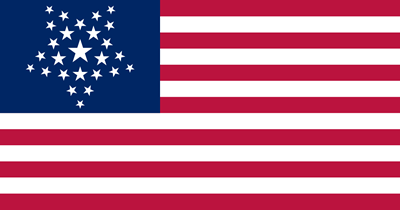 From July 4, 1837 to July 3, 1845 there were not one, but two configurations of the United States flag. 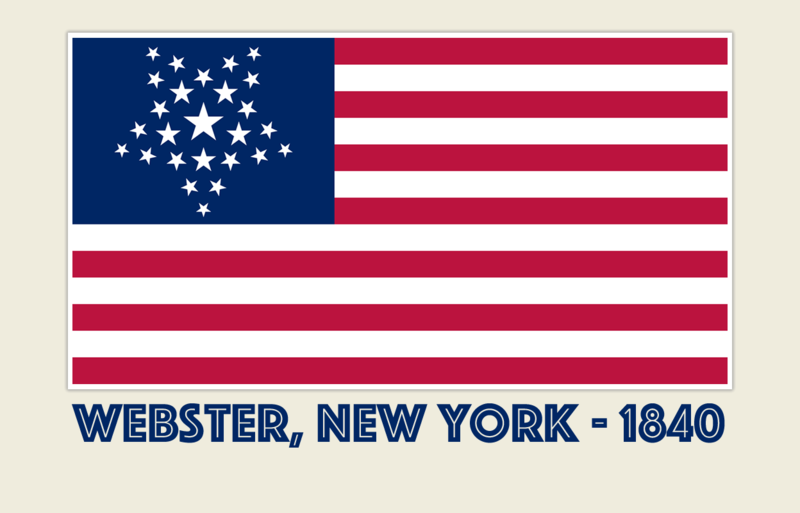 The more official "stars and stripes" and the the "Grand Luminary" or "Great Star" which was based on Samuel Chester Reid's 1818 flag design.